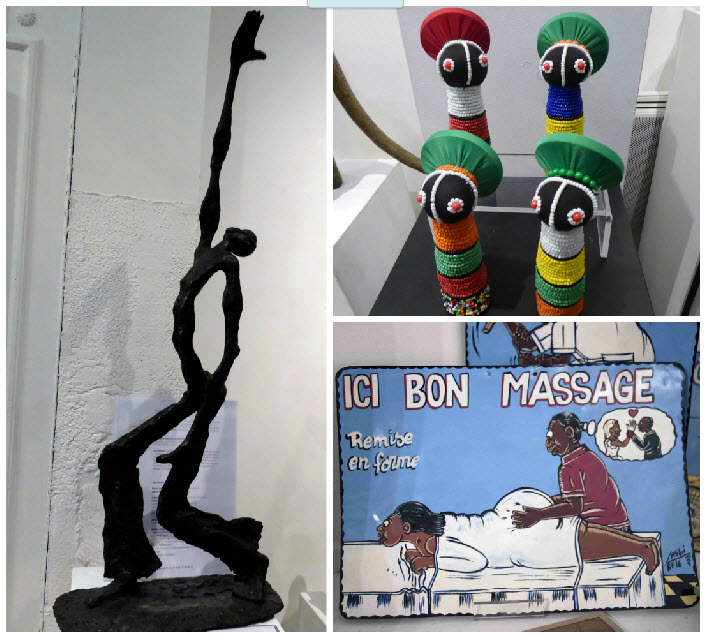 Our favorite itinerant gallerist, Aude Minart of La Galerie Africaine, has mounted a vibrant exhibition at Mu Gallery in Paris' 9th arrondissement to kick off the New Year. 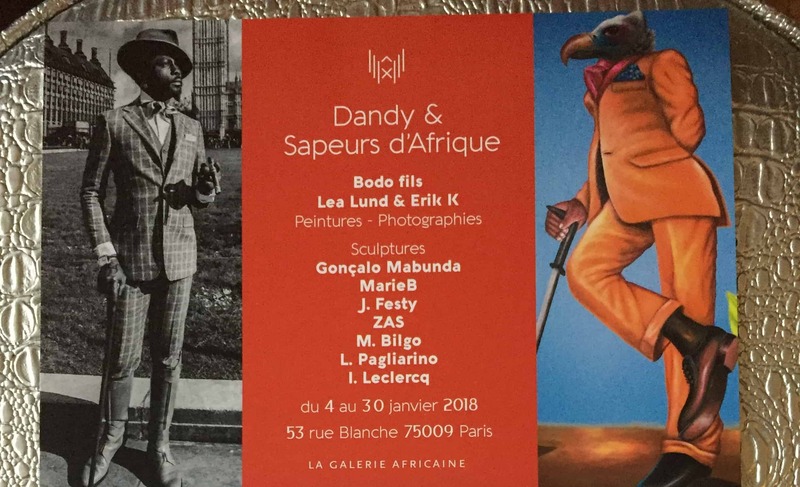 Called Dandy & Sapeurs d'Afrique, it features paintings by Bodo fils, photography by Lea Lund and Erik K., and sculpture by several artists, including the inimitable Marie B. We attended the opening reception on January 9 and had the pleasure of spending time with the dynamic photography duo, Lea Lund and Erik K.
Lea Lund and Erik K.
The couple is concurrently showing works at five locations in France, Belgium, and Switzerland and we were fortunate to be able to meet them at Mu Gallery. 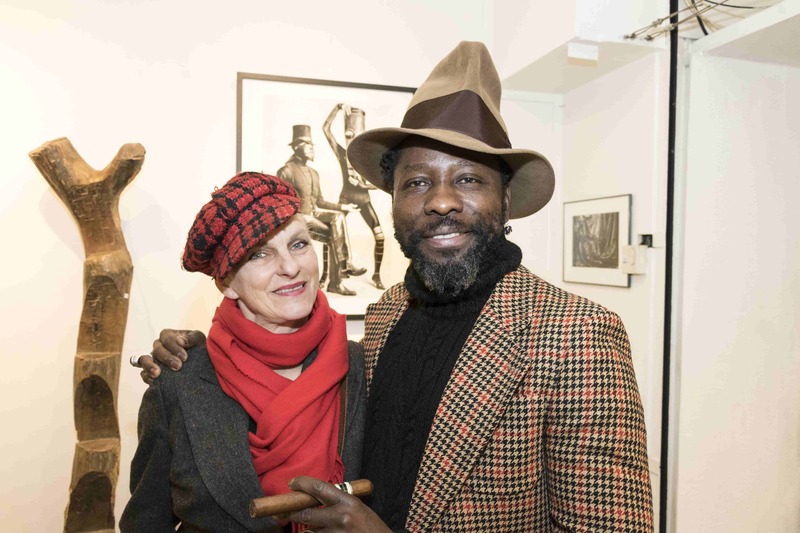 Several of the photographs displayed in Dandy & Sapeurs d'Afrique are new or have never been shown before. They reveal Lund's passion for portraiture and architecture. Most of the images combine these two elements. © Lea Lund and Erik K.
There are stunning portraits of K. on display as well. 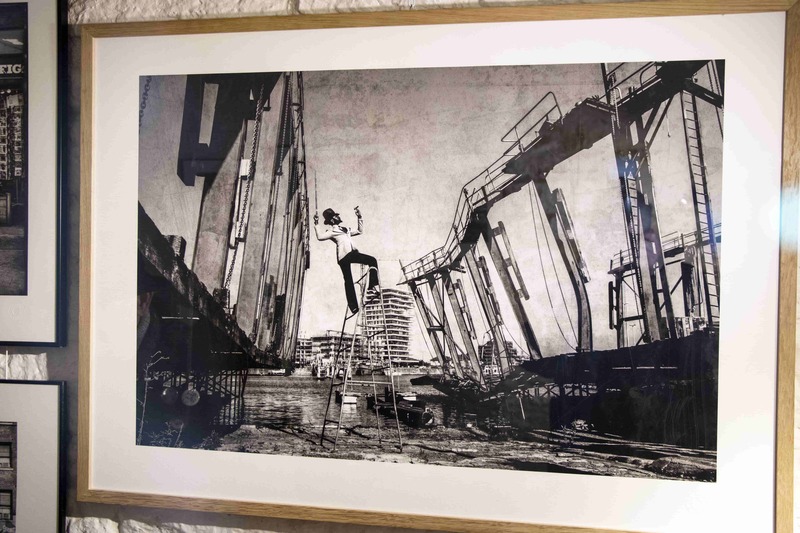 Each photo is the subject to a particular artistic intervention - the viewer will find touches of engraving, drawing, or other enhancements according to the whim of the photographer. K. does not describe himself as a "dandy" or a "sapeur. "* But others readily label him as such because of his distinctive manner of dress. 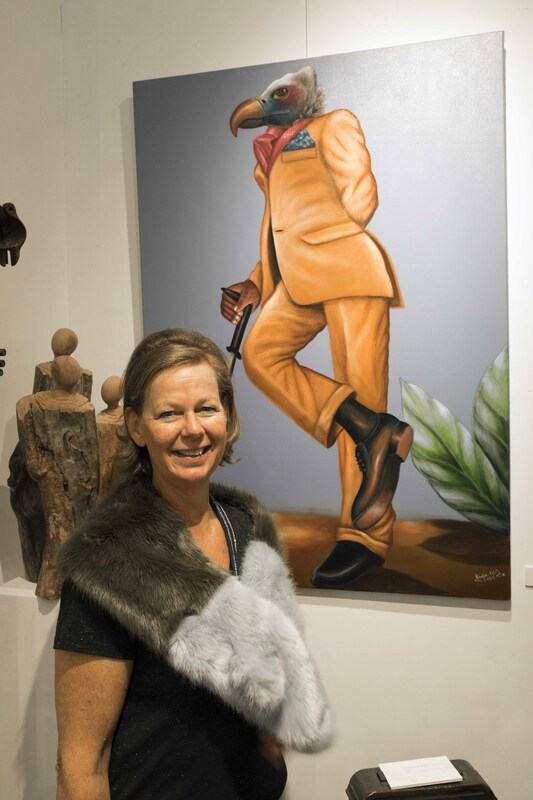 This is why gallerist Minart chose to juxtapose Lea Lund and Erik K photos with Bodo fils' whimsical paintings of sapeurs in this exhibition. 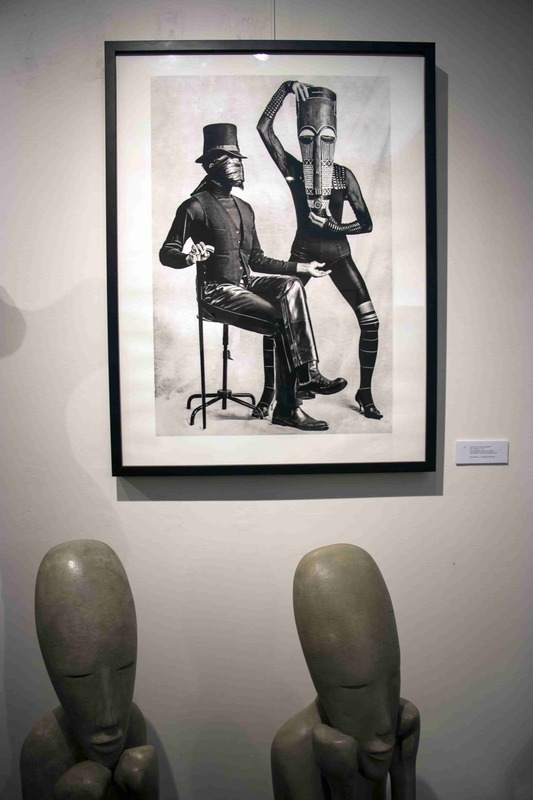 As is customary for La Galerie Africaine exhibitions, Minart is also displaying bronze "lost-wax" sculptures, artisanal fabrics, and fine crafts as part of Dandy & Sapeurs d'Afrique. The exhibition will be on display through January 30, 2018. 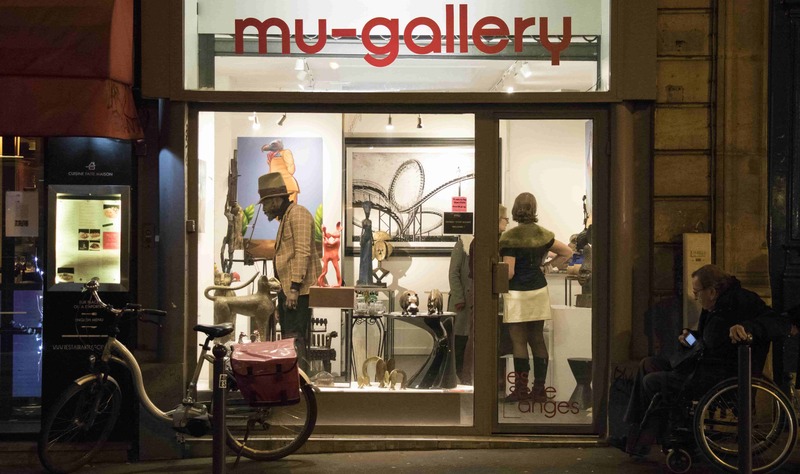 Mu Gallery is located in a neighborhood where several African-American-owned nightspots operated during the years between World War I and World War II. The area is now undergoing a renaissance, with boutique hotels and trendy restaurants opening on rue Blanche and adjacent thoroughfares. The famous Moulin Rouge cabaret is only a five-minute walk away. And the restaurant Armelle et Henri, which is the subject of Part 2 of this article, is only an additional five-minute walk from the Moulin Rouge. Look for our description of the meal we had there in next week's blog. *The term "sapeur" comes from Societe des Ambianceurs et des Personnes Elegantes (Society of Ambiance-Makers and Elegant People) - a group of men from Congo who dress elegantly.